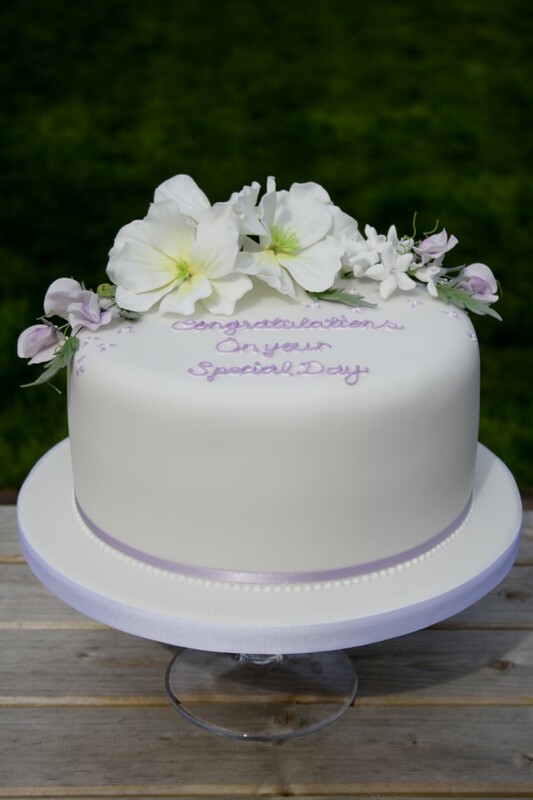 A single tier wedding cake for an intimate family celebration. 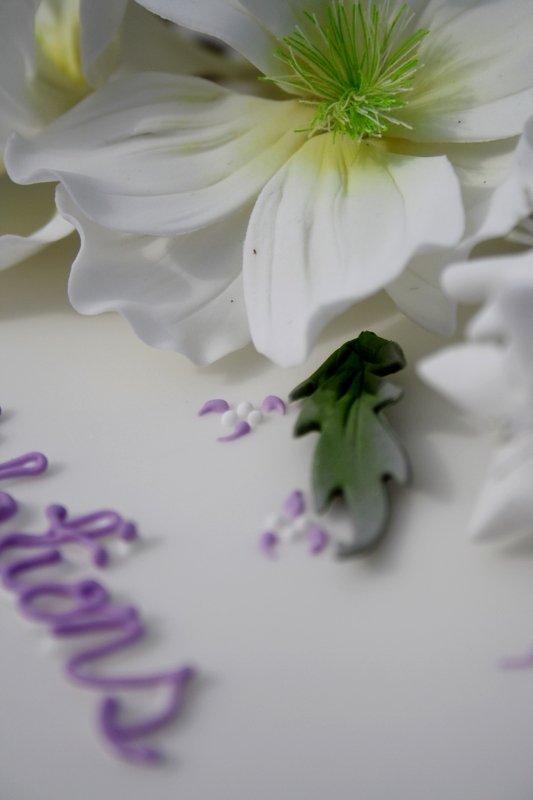 Cake iced in pure white, finished with sugar full open cosmos flowers, sugar sweet peas and viburnum, sugar foliage. Hand piped message and embellishments. Cake of victoria sponge with whipped Madagascan vanilla bean paste and raspberry conserve. Cake serves 40 finger portions.